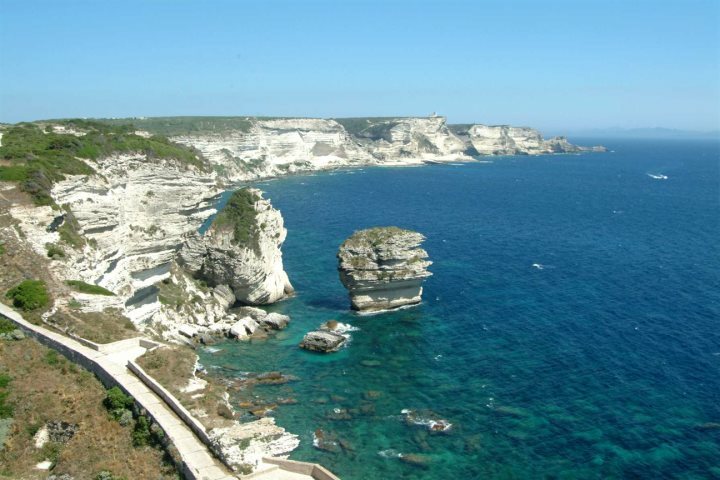 Like Corsica itself, Bonifacio has a fascinating history that has taken many twists and turns over the years. 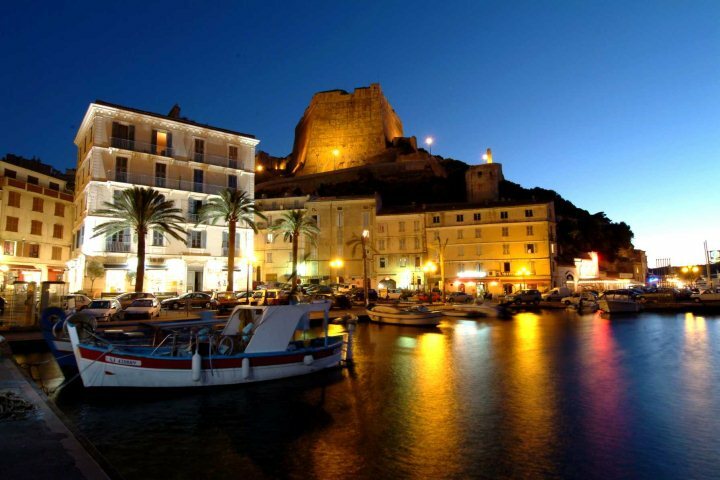 An enchanting citadel town in southern Corsica, it is built on a narrow peninsula of white limestone. The old town sits majestically on top of the cliffs that rise up out of the sea overlooking the perfect natural harbour that has sheltered boats for centuries and is now a modern marina. 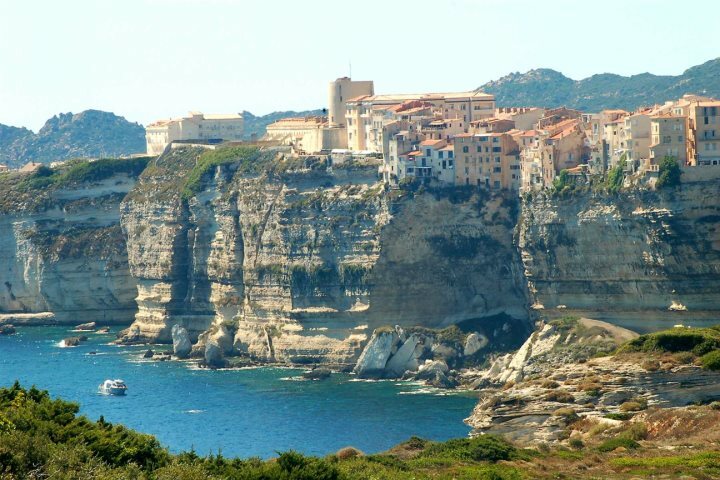 We know that this area of Corsica was inhabited as long ago as 6,750BC, thanks to the skeleton of a young woman, known as ‘Dame de Bonifacio’, found in a cave near the village of Capello just north of Bonifacio. In Homer’s Odyssey, Odysseus and his men landed on the shores of a race of powerful giants, the Laestrygonians. When some of his men are eaten by the king and queen, Odysseus and his remaining men try to flee the harbour that is enclosed on all sides by a ring of high cliffs with just a narrow channel as an escape route. The giants pelt the boats with huge stones and only Odysseus’s ship escapes. Some believe that this is referring to Bonifacio and it is easy to imagine those giants raining down boulders from the cliff tops. Although Romans inhabited a village on the site, Bonifacio itself was not founded until 828AD by Count Bonifacio of Tuscany. His castle on the town’s peninsula was of great strategic importance for protecting the outer boundaries of Tuscany. All that remains now of his citadel is the round tower, Il Torrione. In 1092 Pope Urbanus II gave Corsica to the Republic of Pisa, who ruled Bonifacio for the next two centuries. When the Genoans captured Bonifacio in the 12th century, they massacred the inhabitants and replaced them with Ligurians families who were offered, as an enticement to settle there, exemption from tax and customs in Genoan ports. A dialect based on Ligurian Italian is still spoken there today. As the town grew it developed into a mini-republic and a large Genoan garrison was built. Over the years this was further fortified and for centuries was considered impregnable. In 1420 the King of Aragon laid siege to Bonifacio for five months trying to starve the Bonifaciens into submission, however, they were not going to give in without a fight throwing everything they could lay their hands on down at their attackers. At one point they even threw cheeses! This was the idea of Marguerita Bobbia who has a street named after her in the old town to this day. 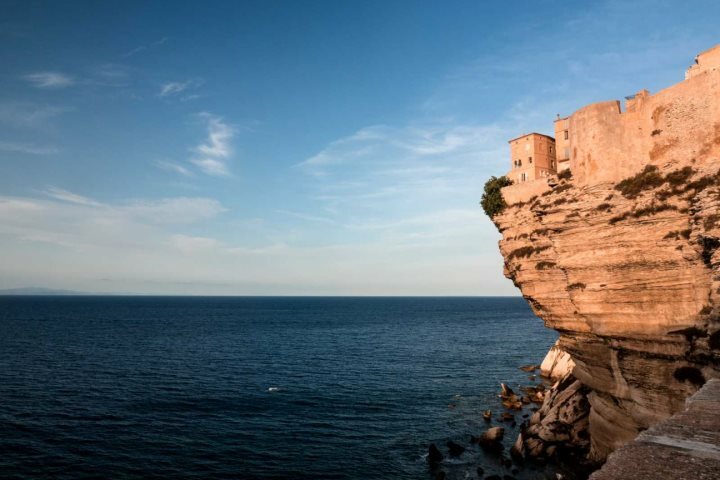 The famished Bonifaciens eventually built a boat and lowered it down from the clifftops to seek help from Genoa. The last survivors managed to bluff their attackers into thinking they were more in number. Eventually help arrived and the Aragonese fled. 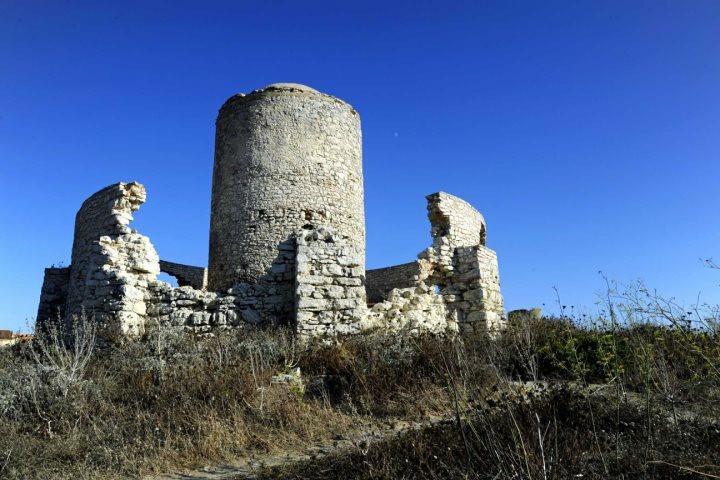 In 1554, just as the town was in recovery from an outbreak of plague that reduced their numbers to one third of the original population, the town was laid siege again by the combined forces of the French and the fleet of the Turkish pirate, Dargut. For 18 days and nights cannon fire besieged the town. A messenger from Bonifacio was sent to Genoa to seek help but was captured on his return and forced to lie that help was not coming. Thus tricking the Bonifaciens into surrender, the Turks went against their word, pillaged the town and massacred the garrison. A brief period of French rule followed until the whole of Corsica was returned to the Genoans in the 16th century under the Cateau-Cambrésis treaty. Bonifacio prospered until the late 18th century, when the French took ownership of Corsica through the Treaty of Versailles. 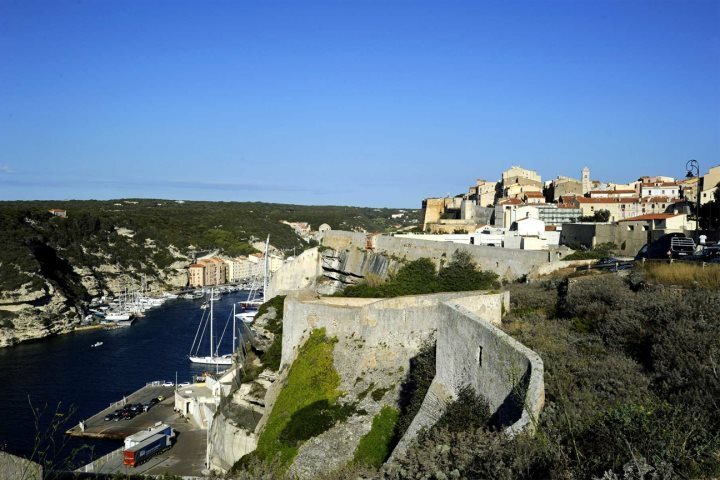 The French removed the privileges that the port of Bonifacio had enjoyed since the time of the Ligurian settlers and the merchants began to move away bringing commercial decline. 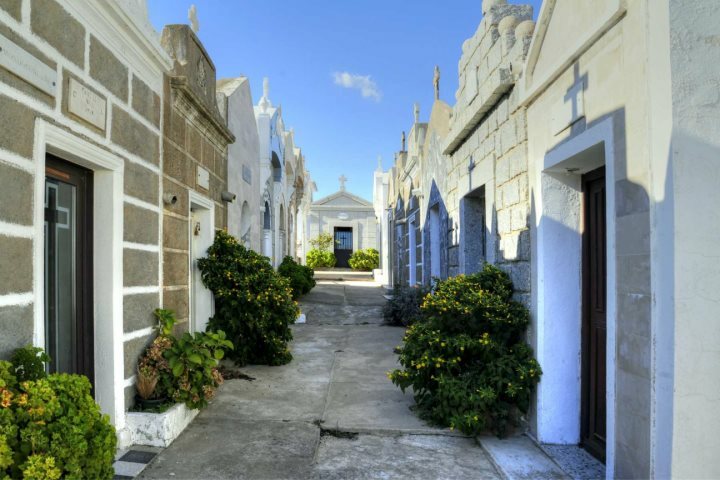 In more recent times tourism has allowed the town to flourish again and with careful restoration Bonifacio has been transformed into a stylish coastal town that exudes both glamour and history. below: Bonifacio’s old town is completely encircled by the citadel walls with 2 gates allowing access. The only route accessible by vehicles (and by the little tourist train that runs in the summer) takes you in through the Porte de France built in 1854. Before this was built the only way in was via the Porte de Genes (Genoa Gate). To reach this older gate, start at the marina and walk up the steep steps of first Montée Rastello followed by Montée St-Roch. From here there are some stunning views. Carry on past the Église St Erasme and enter the citadel via the Porte de Genes. This ancient entrance was fortified by the Genoese in the 12th century. The drawbridge that still operates today, through a system of weights and pulleys, dates back to 1598. Turning right as you enter at the Porte de Genes, on Place d’Armes, you will find the Bastion de L’Étendard which houses the small museum with models showing the town’s history as well as a reproduction of the ‘Dame de Bonifacio’s’ skeleton. 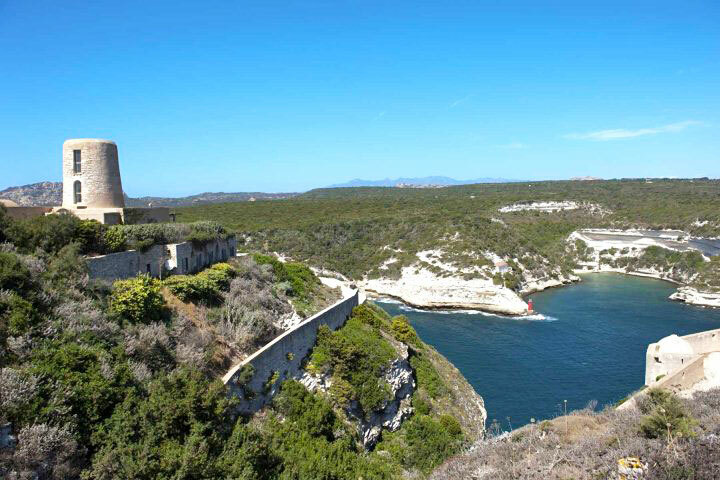 The Bastion is the only surviving part of the fortifications destroyed by the 16th-century siege and from here are some stunning views across the harbour to the mountains beyond Bonifacio. Exploring more of the citadel, you’ll see the medieval townhouses which dominate the clifftops are five or six stories high but often just one room deep. Rue des Deux Empereurs was the main street of the citadel under the Genoese. Look out for the plaques that mark the lodgings of emperors Charles V (1541) and Napoléon I (1793). Further plaques commemorate other important visitors. From Rue des Deux Empereurs, several arched alleys form aqueducts to collect rainwater and other arches above the streets moved water around the town and drained into a large underground cistern beneath Église Sainte-Marie-Majeure (12th century) providing water in times of siege. In the pretty street of Rue du Palais-de-Garde which runs alongside the church the older houses did not originally have doors on the ground floor. Instead people gained access with ladders that they pulled up after them as protection against attack. Il Torrione, a 35-metre high tower on Rue des Pachas, dates back to 1195 and is the only remaining part of the Tuscan citadel. Off Rue de l’Hôpital you will find the top of 187 steps carved into the cliff face that were once used to carry water from a well up to the citadel. They are called Escalier du Roi d’Aragon (King Aragon’s Steps) however they existed long before the Aragonese attacked the town in 1420 when legend would have us believe they were carved overnight. There are good views from these steps which are open daily in the summer season. Back on Rue de l’Hôpital continue on to the entrance to the Bosco and Église St-Dominique. 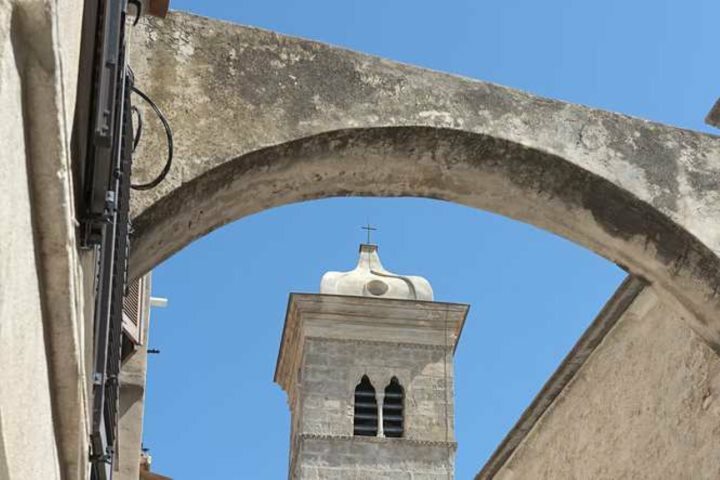 Built in 1270, it is a rare example of a Gothic architecture found in Corsica. Further on Rue des Moulins takes you to the remains of three mills, one of which has been restored. Beyond this is the Cimetière Marin (Marine Cemetery) and the old convent of St François (of which only the restored late 14th-century convent remains). From the Esplanade St-François you can look across the bay to Sardinia, a stunning view on a clear day.